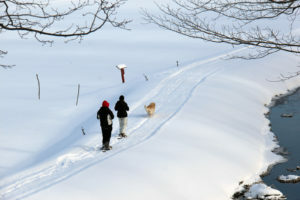 Snowshoe through Muskoka's winter wonderland on our groomed trails. Afterwards, warm up with hot mulled wine by a bonfire. Trail pass $5. Snowshoe rentals available. Trail information.